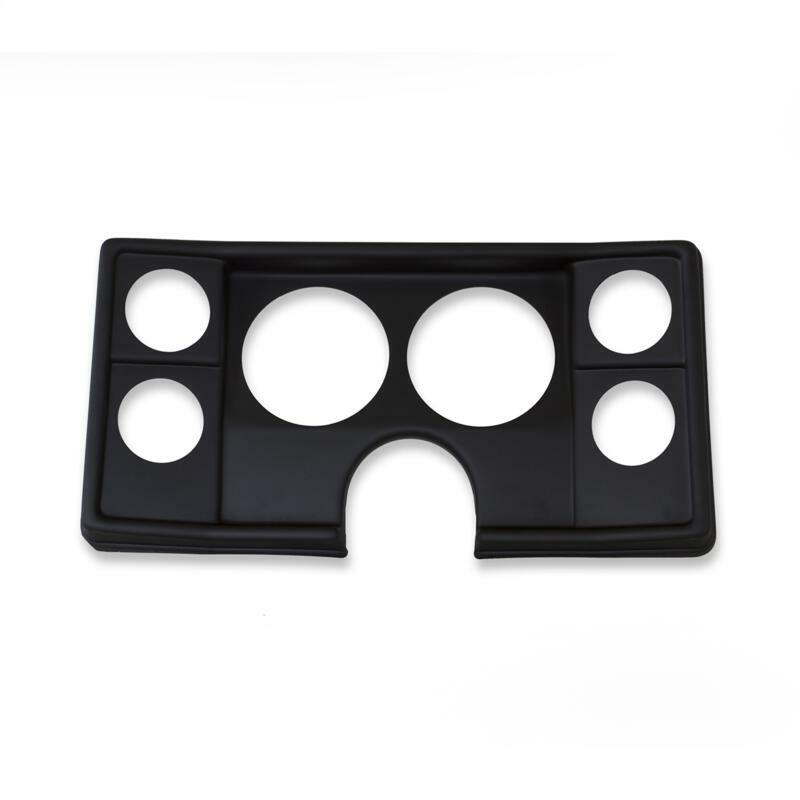 Direct Fit replacement for OEM instrument bezel in 82-87 Chevrolet Malibu, El Camino, &amp; Monte Carlo. Fits two 5" instruments &amp; four 2 5/8" gauges. 2 piece dash that includes mounting location for stock headlight switch and all assembly hardware required.